Robins sees opportunities before others. Some developers recognize the coming wave and ride it. Craig Robins is one of the few who make the wave. 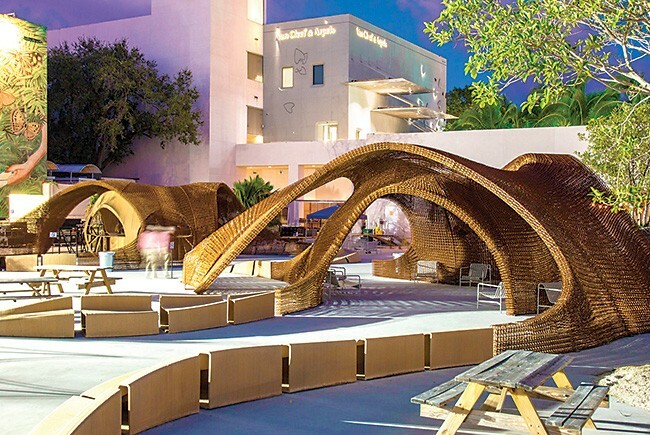 From the 1980s onward, the Miami Beach native and University of Miami law grad led the redevelopment of South Beach Art Deco landmarks, integrating his love of art with residential and mixed-use projects. As president and CEO of real estate developer Dacra, he built real estate and, through public events, a community style that won attention nationally and internationally, which drove up the value of his real estate. South Beach was still a work in progress when two decades ago he started investing across Biscayne Bay in the all-but-abandoned Miami Design District, which he’s aimed to build into a neighborhood of fashion, design and art. 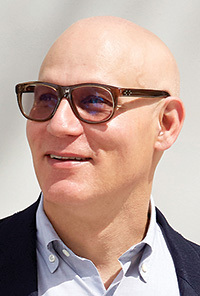 His Miami Design District Associates, a joint venture of his Dacra and L Catterton Real Estate, and minority-interest holder General Growth Properties, collectively own 18 square blocks totaling 1 million square feet of buildings and 20 acres. Total investment: $1.4 billion. It’s chock full of luxury brands. 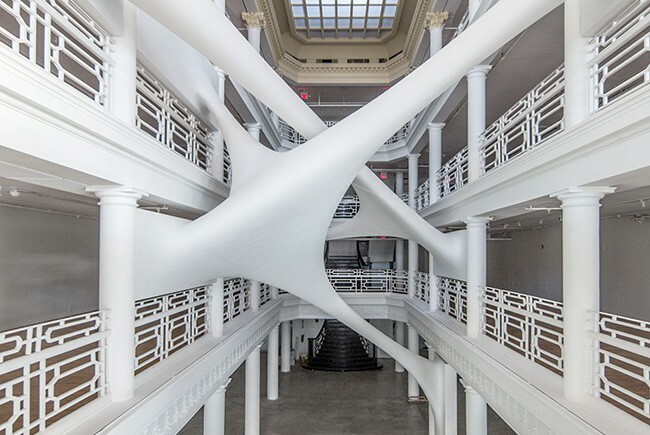 Since 2005, the district has hosted the Design Miami/ fair, a show Robins owns in partnership with Art Basel producer MCH Swiss Exhibition and that runs during Art Basel Miami Beach in December. What’s next for the Design District: “Right now, we are expanding so it will be bigger, more cohesive, better and be the home to more luxury brands, unique cultural experiences and fine dining destinations. 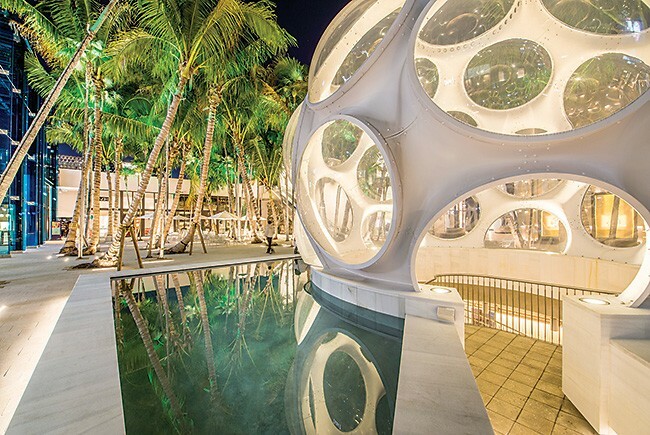 “The Miami Design District has grown to include more than 60 flagship stores by the world’s most significant luxury brands; two of the city’s most respected museums, the de la Cruz Collection and ICA Miami; a live musical performance series produced by Emilio Estefan; and almost two dozen restaurants are either opened or coming soon by culinary talents ranging from Michael Schwartz to Brad Kilgore. And for Miami: “Our art scene is growing, the tech scene is growing, and over time the city has become more and more lively with a creative and entrepreneurial spirit. Last year, South Florida was named the No. 1 location in the U.S. for startup activity.